Aloha Residents of Kapolei, East Kapolei and Makakilo. Were you aware that the HFD is going to relocate your East Kapolei Ladder Truck to Ewa Beach? HFD states that another Fire Truck is needed in Ewa Beach. Really? If that’s the case, then shouldn’t they have requested for new positions and apparatus specifically for Ewa Beach? Instead they choose to take, steal or relocate your Ladder Truck. The deception goes deep involving statistics that can be dressed to make any proposal seem a no brainer. Ever heard of the lip stick on a pig saying? Keep in mind that the East Kapolei Fire Station was built with an Engine and Ladder in mind. Oh, they will try to claim a technicality in the contact language stating no specific type of apparatus. By the way, these Fire Trucks were labeled “East Kapolei” from the manufacturer. When you tour this giant Fire Station built on Hawaiian Homelands the hallways say “Engine and Ladder Officer Dorms” I swear I saw a picture of Engine and Ladder 43 during the grand opening. Have we been deceived? Let us ask the Department of Hawaiian Homelands for their opinion. HFD will respond saying that they will put the HAZMAT #2 Unit at East Kapolei with the Engine to fill up those empty bays. Please note that although HAZMAT can respond to EMS type emergencies they are in no way capable of fire suppression. The last time I checked, the City Charter stated that the HFD is the primary agency to mitigate fires. East Kapolei is now the fastest growing community on the Ewa Plain. 11, 750 homes soon to be built in Hoopili. The Second City of Kapolei also booming with multi story buildings. Perfect location for a Ladder Truck at both Kapolei and East Kapolei. The tallest structure in Ewa Beach is the Training Tower at the Fire Station. Don’t get me wrong. The needs in Ewa Beach are just as important and everyone, HPD, EMS and HFD answer the call to get there. 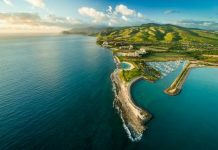 However, the HFD Master Strategic Plan states East Kapolei as a point of interest several times not at all mentioning Ewa Beach. So why all the attention now? Hidden agendas? Personal agendas? Definitely our communities welfare is expendable. Does HPD strip/take officers from one district to the other or do they hire more officers? Lets not let the HFD deceive the public on this matter. Unfortunately, Councilwomen Pine has signed off on the proposal. Wait! Didn’t she fight to have the East Kapolei Ladder opened after years of non compliance? What changed her mind. Please ask these questions at your next NHB meeting. Be aware that the HFD has a prepared statement in regards to this matter. Fight for what is rightfully yours. Taxpayers own these trucks. Lets also fight for the Ewa Beach community to get their needed Ambulances and Fire Trucks. I’m sure they’d be up in arms if we took something from their area. 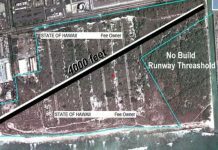 Ewa Beach doesn’t need the ladder truck and knowing they dont have buildings and structures worthy of having the station relocated is seriously outrageous. Kapolei east is more needed and already respected for their dedication in the community. They shouldn’t be relocated just because the state cant get their money together and get the equipment. I strongly go against the relocation of Kapolei East. The roads and structures in Ewa Beach is already hard to drive in and these trucks wont be able to even fit in the roadways. 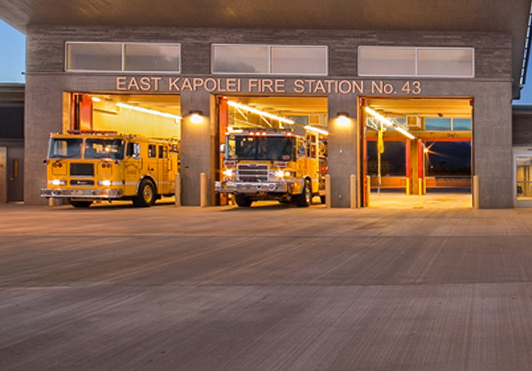 Please acknowledge that Kapolei East#43 is just as important to this community as does the Ewa beach fire station in their community. At least 15 minutes for Pali Momi ambulance to get to the top of Pacific Palisades. Imagine someone with a heart attack up there. Be happy for what you have. Wow. Nice reply but East Kapolei was the original location for this ladder. Bought, labeled and advertised as East Kapolei Ladder Company. Watch the you tube grand opening video. 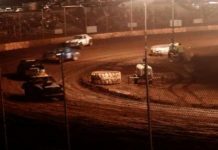 See that truck in the picture? Maybe you’re in that video also. Lol. Although the new Ewa Beach Fire Station appeared to be ready for a new ladder the station was built to house an Engine for now. The extra wing of dormitories were not built for there was no immediate plan to have a ladder there. That is also a fact. I agree with you that the Ewa Beach call volume is heavier than East Kapolei. These are EMS type calls. Do we need more fire trucks or ambulances? The issue in the post describes a deception by the Fire Department to buy a truck, ask for positions and build a giant station under false pretenses that this was for that area. Ask CM Pine or Mayor Caldwell that. Don’t you think the public should know? Bottom line is everyone needs to be transparent when spending taxpayers dollars. Should’ve just stated what they needed and where it should be if that the case. I’m sure Ewa Beach would’ve been the recipent of this ladder since all the stats support it. Although your post seems to be in defense of this decision I do agree that there are other communities that could benefit from another Fire station or EMS unit placed nearby. You sound like your probably a Chief or Retired Chief so you identify with the food chain. Calling them “boys” must mean you’re probably old school. Educate me. When was the last time a Fire Company was relocated to serve the public better? I hope your not going to mention that Rescue Company that was forced to move to Mililani Mauka. We are going to have to agree to disagree about the facts surrounding what Station 24’s original Apparatus compliment was supposed to be as you miss interpreted the info, but that is small rocks. It would appear as if you may be in that dedication video you spoke of or at least in the station after it was made, as for me I got nothing to do with it. I am still trying to figure out if you are truly concerned about the community or using this platform to air out your gripe and gain community support. Basically are you an angry fireman or a “concerned citizen. Your rationale here is that the City specifically “promised” an Engine and an Aerial to Sta 43 but the Dept. is not allowed to deviate from this promise. You do know the numbers do not support the 2 trucks. Ok in a perfect world there would be an Aerial for both Stations but where do we stop. As I mentioned Royal Kunia had a plot specifically chosen for the fire station, sounds like a “promise” to me and Pacific Palisades was the same. In the end the City decided against Stations in these areas. In the end the the City does what the City does and you go to work in Ewa Beach instead of East Kapolei. Ladder 29 still exists right? Community fought to have it brought back. Ladder 41 positions still budgeted but not ready for that one yet I guess. Hazmat moves because overcrowding at Central? Don’t think it was to serve the community better. Hey. I get it. Two sides to a story. That’s life and the truth serum. Thank you for you insight.